KRYTAR’s new directional coupler is a superior performance narrow band product covering the 7.0 to 12.4 frequency range. Adding to the selection of multi-purpose, stripline designs that exhibit excellent coupling, Model 120706 enhances the product line with performance ratings including Nominal Coupling (with respect to output) of 6 dB, ±0.5 dB, and Frequency Sensitivity of ±0.30 dB. Pentek's SPARK Development Systems are the quickest way to get up and running and start your application development. Each SPARK PC system includes a high-performance rackmount PC with Pentek hardware and software factor installed and tested allowing immediate "out of the box" deployment. SPARK Development Systems are available in PC and VPX platforms. The RTR 2729A provides the performance of rackmount recorder in a lightweight portable package. With a 3.6 GHz 12-bit A/D, built-in digital down conversion and up to 30 TB of SSD storage, this portable recorder allows users to capture extremely wide bandwidth signals in real time for hours. Today, cable selection is always a trade-off. Lower loss or more flexibility, solid or stranded wire? HUBER+SUHNER combines two in one - the RF Spuma RS cables are enabled by its patented rotary swaging technology. Watch how it’s done and find out why signals love swaging. 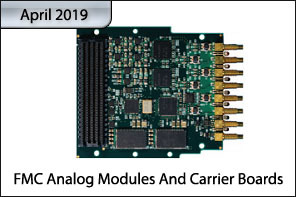 There are always emerging threats in the defense sector, and a lot of it has to do with mm-Wave type technology in electronic warfare (EW), electronic countermeasure, Satcom, and airborne data links. dB Control has designed and built mm-Wave technologies to assist OEMs and better outcomes in defense applications. Dielectric Laboratories is a global supplier of microwave and millimeter wave components for optical and wireless communications, military, medical, semiconductor, aerospace, and transportation markets. We are a manufacturer of High-Q Multi-Layer capacitors (MLC) and Single-Layer capacitors (SLC), Resonators, Filters, Broadband DC blocks, Thin Film components, and Custom ceramic components. In 2004, DLI acquired Voltronics Corporation, a world leader in precision variable capacitors. A caring, group of patriots founded the veteran-owned NuWaves Ltd. in 2000, doing business as NuWaves Engineering, providing advanced Radio Frequency (RF) expertise and microwave solutions for military, government, and industrial customers. NuWaves offers an extensive range of RF products and services under one roof, from High Frequency (HF) through Ku-band, that address the most demanding customer requirements, such as electronics hardware miniaturization, project cost, and schedule. 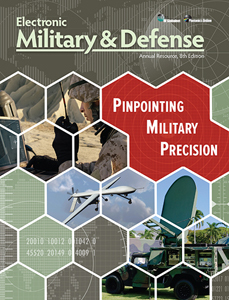 Electronic Military & Defense was developed as a resource for engineers, program managers, project managers, and other professionals involved in the design and development of electronic and electro-optic systems for a wide range of defense and aerospace applications. Check out the digital edition of our latest issue for exclusive editorial on open architecture and standards applied to defense applications, overlooked EMC vulnerabilities, microfabrication, display technologies, and more. Sign up to receive a free copy of the 2018 edition! Pasternack, an Infinite Electronics brand and a leading provider of RF, microwave and millimeter wave products, has expanded its offering of low-PIM coaxial cable assemblies to offer customers even more connector options to address DAS, wireless infrastructure, multi-carrier communication systems, WISP, small cell installations and PIM testing applications. Altair (Nasdaq: ALTR), a global technology company providing solutions in product development, high-performance computing and data intelligence, invites engineering students from across the globe to participate in the "Altair Student Competition for Innovation in Electromagnetics (EM)." Mercury Systems, Inc. (NASDAQ: MRCY, www.mrcy.com) today announced the acquisitions of The Athena Group, Inc. (Athena) and Syntonic Microwave LLC (Syntonic). RF Globalnet is the Internet's leading source of cutting-edge technical information for the RF/microwave design community. If you are an RF/microwave design engineer or engineering manager involved in the design and development of wireless subsystems and components, or military and other radio-based communication systems at all levels, you now have access to a comprehensive web community delivering the latest updates on RF technology to give you the competitive advantage in your industry. 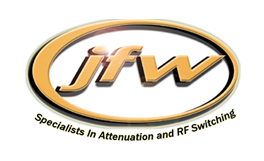 To provide this technical information, the site offers detailed coverage of the design and development of RF/microwave subsystems and components such as amplifiers, oscillators, modulators, attenuators, mixers, resonators, frequency synthesizers, filters, coaxial cables, connectors, switches, antennas, intergrated circuits (ICs), modules, transmitters, receivers, and transceivers. The site also includes information on discrete components such as diodes, inductors, capacitors, transistors, and resistors. We also examine the technology that creates and verifies the design, namely test and measurement equipment, computer-aided-design (CAD) tools and electronic design automation (EDA) software, among others. RF Globalnet's database is structured to serve the needs of RF/microwave design engineers, engineering managers, system integrators, product specifiers, business executives, consultants, and others involved in the design and development of commercial wireless systems, military devices, and other commercial communication systems. 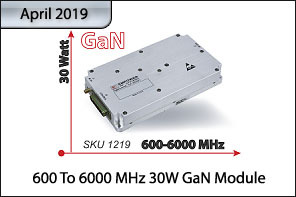 Reflecting the dynamic and interactive character of the Internet, RF Globalnet is the most accurate and convenient technical source of design, product, and news information available for the rapidly changing and growing RF/microwave design industry. Please take a moment to join our community and discover all the benefits of your FREE membership.